field at Kimberley, South Africa, an even less inviting environment. In the 1870s Rhodes laid the foundation for his later massive fortune by working an open-pit mine where he personally supervised his workers and even sorted diamonds himself. The hard work would pay off as Rhodes developed a moderate fortune by investing in diamond claims, initiating mining techniques, and in 1880 forming the De Beers Mining Company. During the mid-1870s, Rhodes spent six months alone, wandering the unsettled plains of Transvaal, South Africa. There, he developed his philosophies on British Imperialism, where the British Empire rules over its foreign colonies. These philosophies consisted of a "dream" where a brotherhood of elite Anglo-Saxons (whites) would occupy all of Africa, the Holy Land in the Middle East, and other parts of the world. After a serious heart attack in 1877, Rhodes revealed his ideas of British Imperialism when he made his first will. In it, Rhodes called for the settlement of his as-yetunearned fortune to found a secret society that would extend British rule throughout the world and colonize most parts of it with British settlers, leading to the "ultimate recovery of the United States of America" by the British Empire. Flint, John. 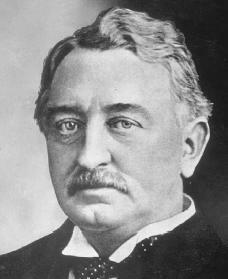 Cecil Rhodes. Boston: Little, Brown, 1974. Roberts, Brian. Cecil Rhodes: Flawed Colossus. New York: Norton, 1988. Rotberg, Robert I. The Founder: Cecil Rhodes and the Pursuit of Power. New York: Oxford University Press, 1988. Thomas, Antony. Rhodes: Race for Africa. New York: St. Martin's Press, 1997.
where was Rhodes buried?thank you for a great historical article!